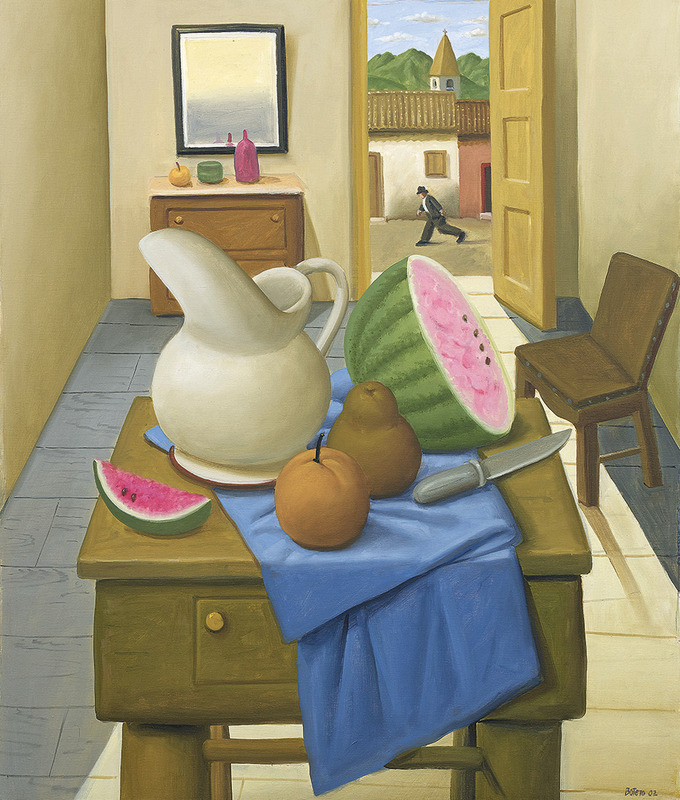 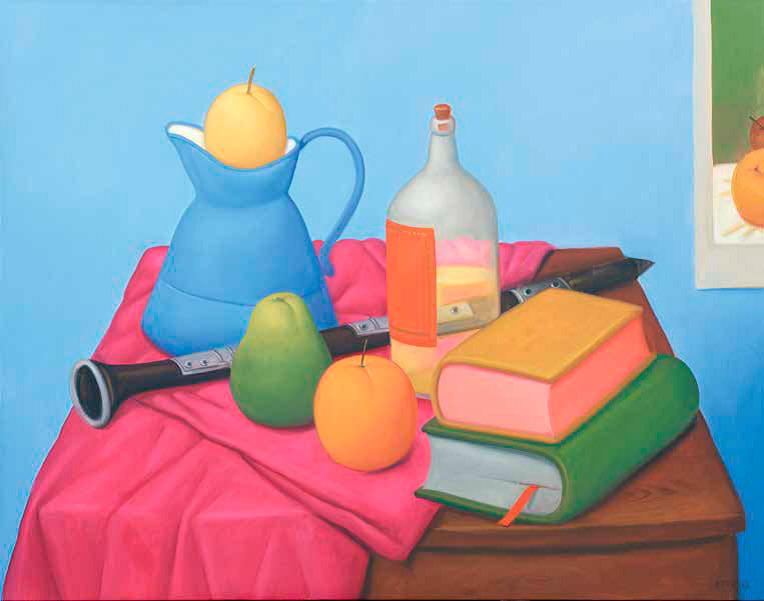 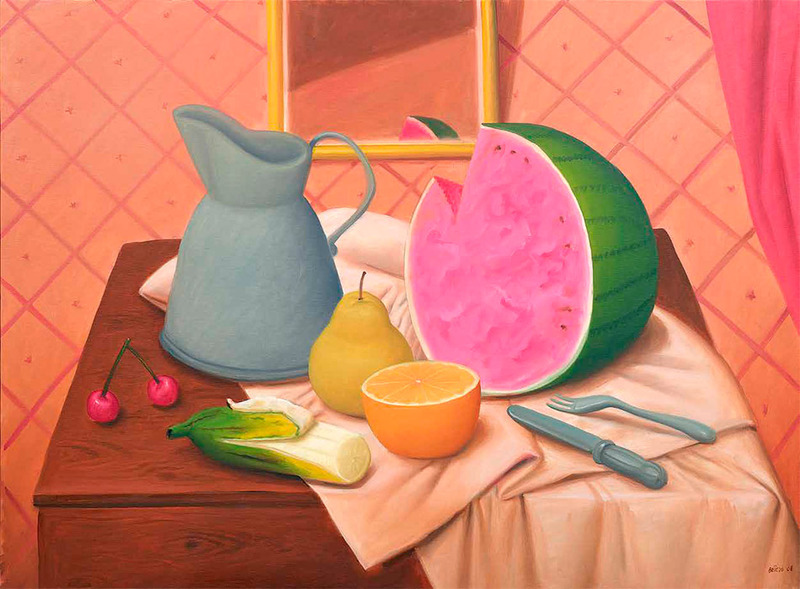 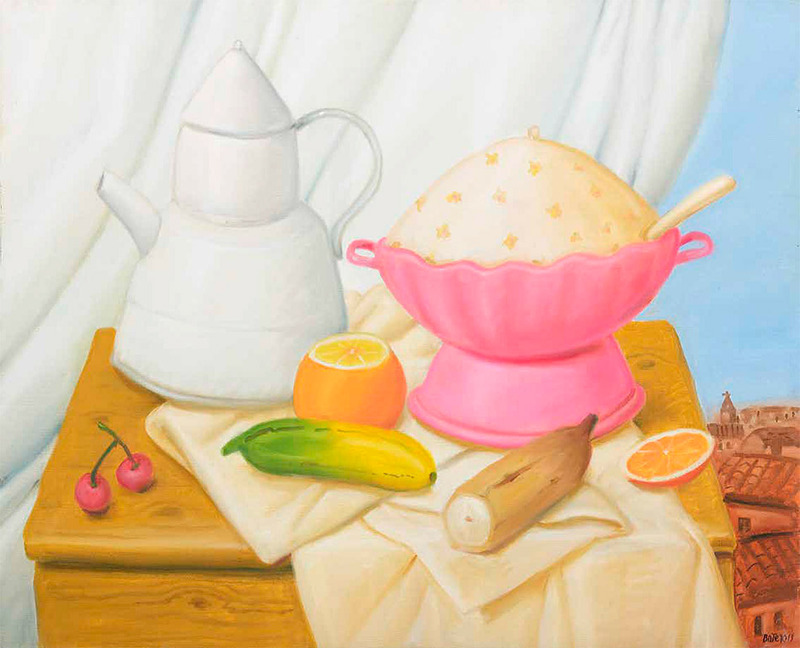 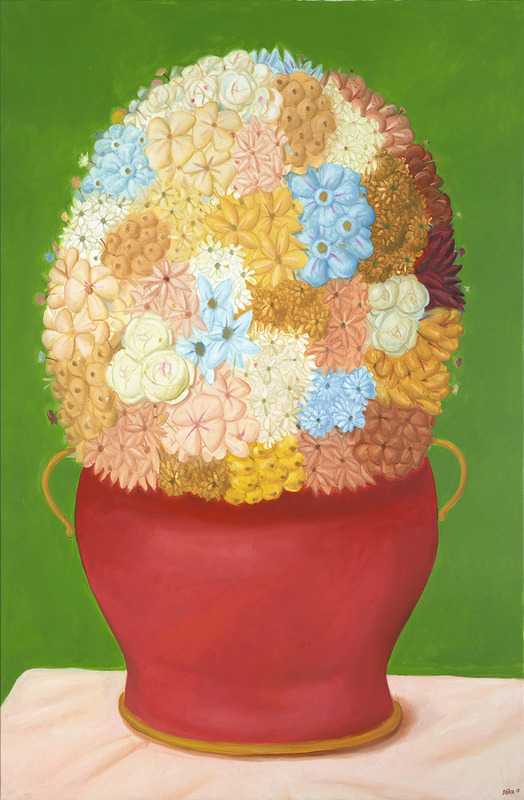 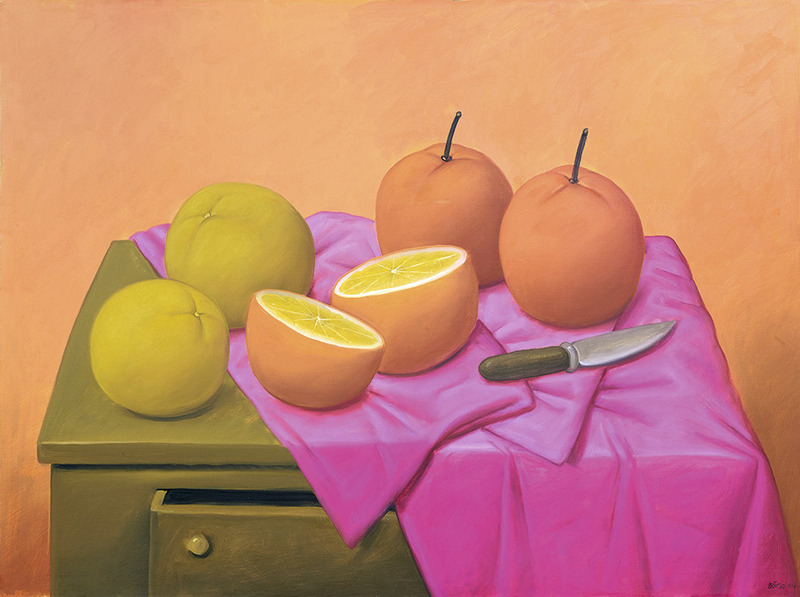 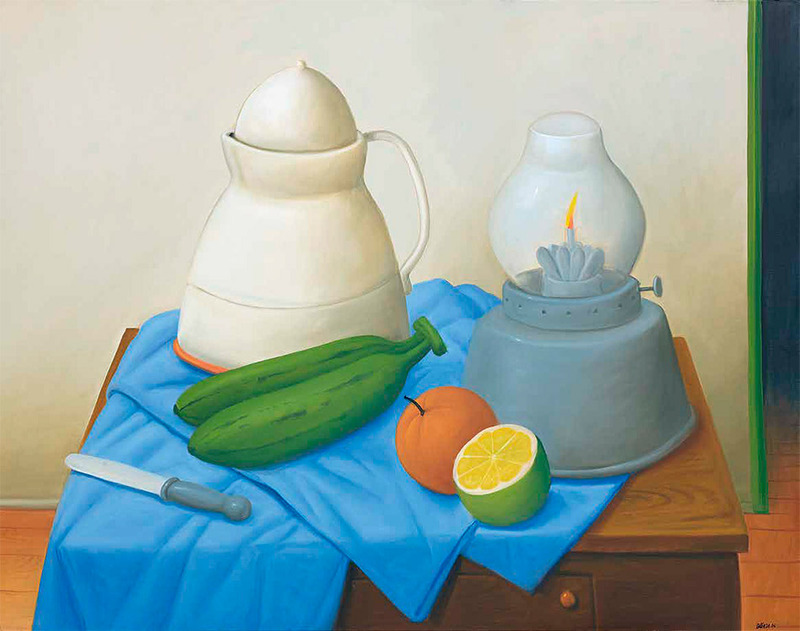 Throughout thirty still life works representing flowers, fruit, objects, musical instruments and fantastic scenes of everyday moments, the artist pays tribute to the Old Master paintings he studied as a young student in Europe during the 1950s. 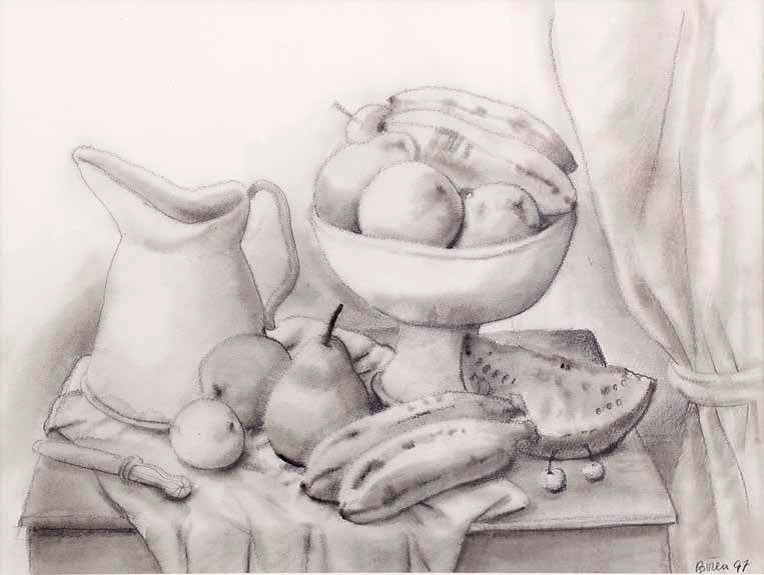 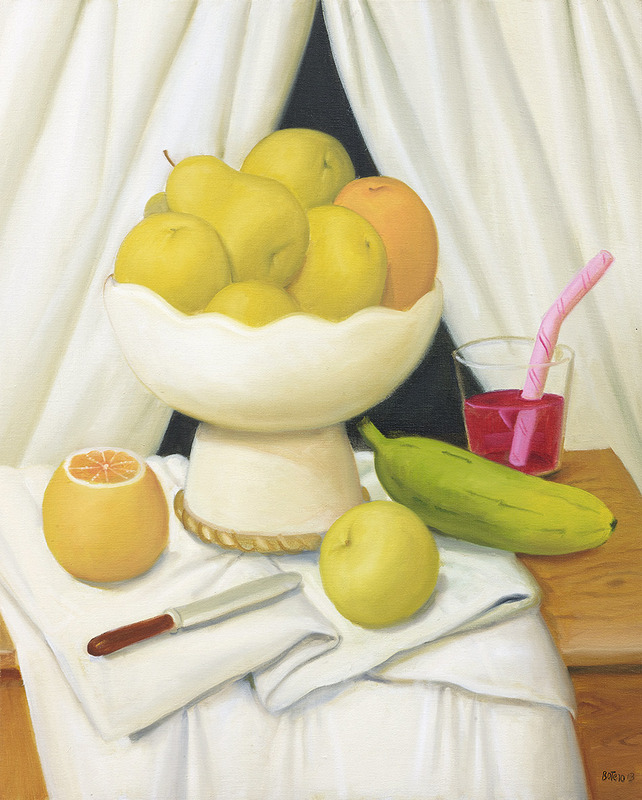 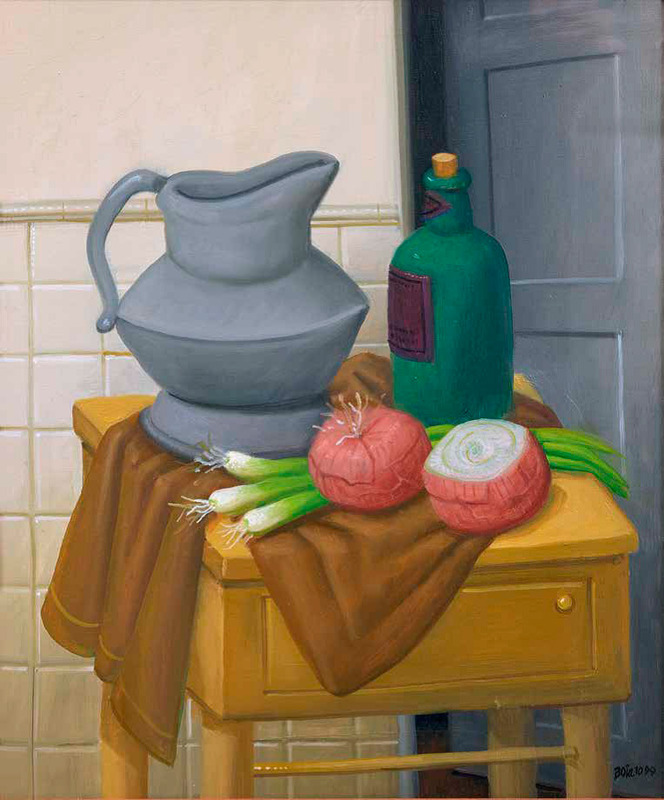 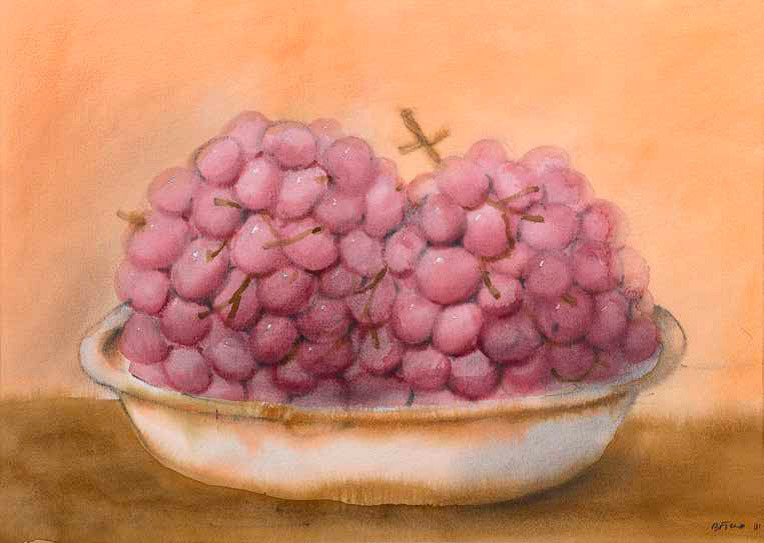 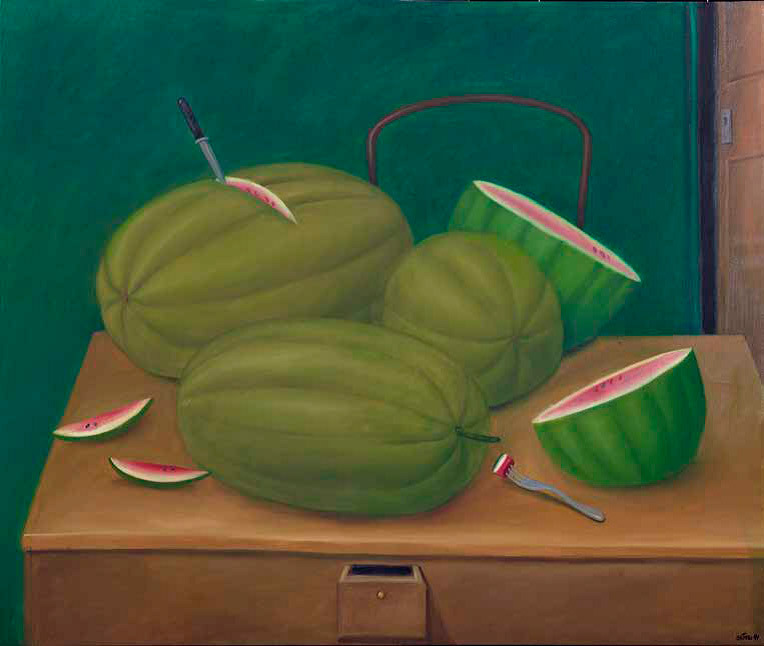 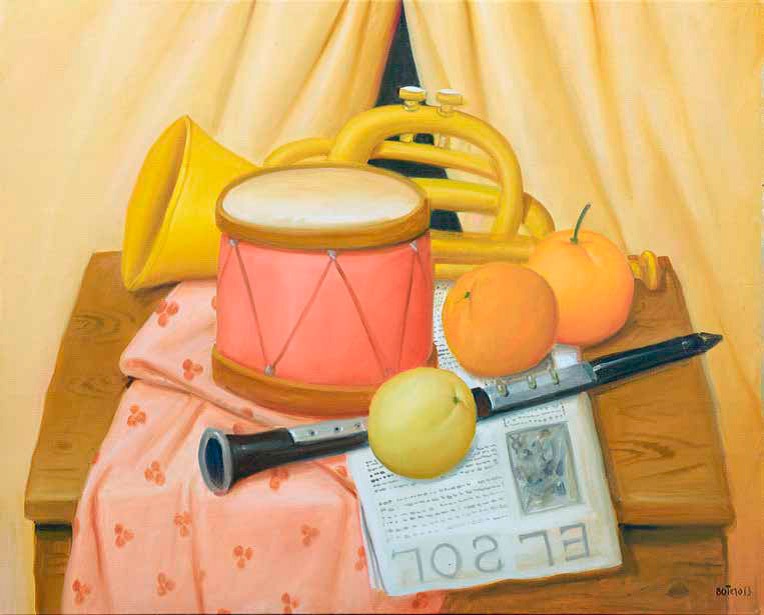 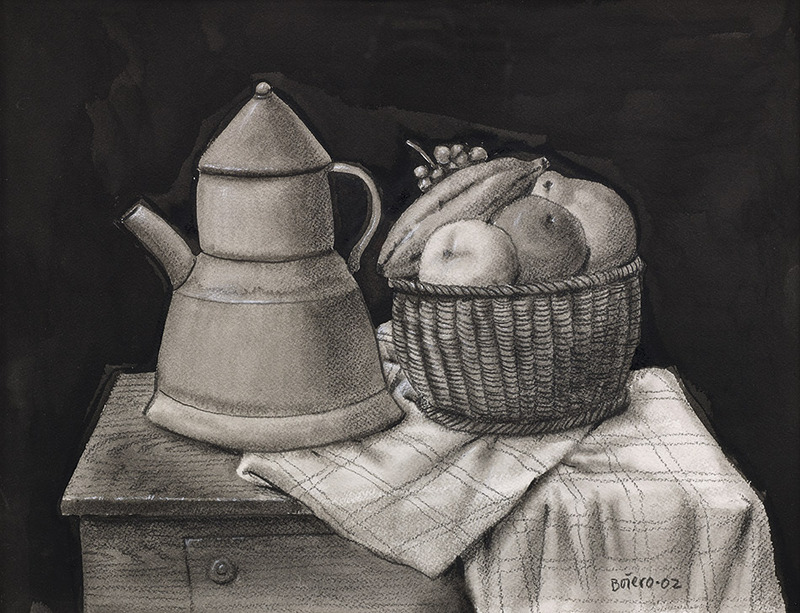 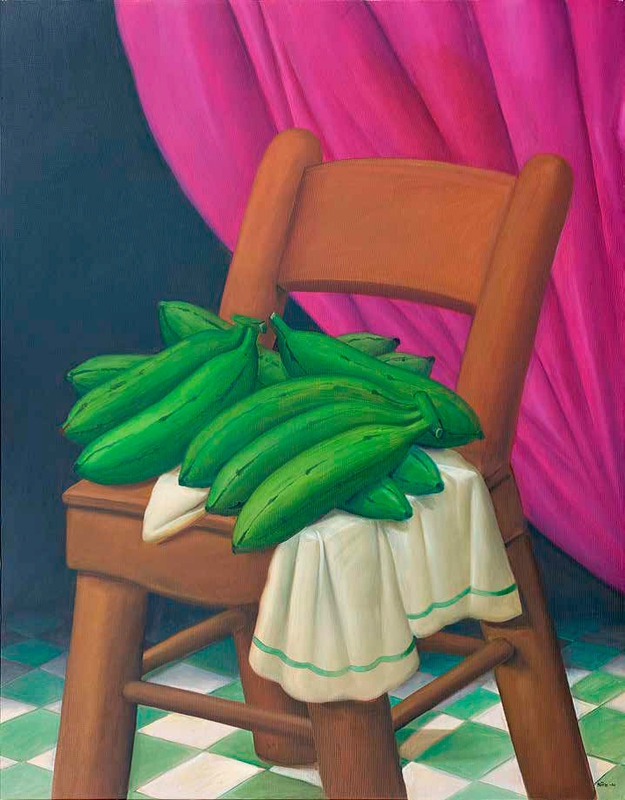 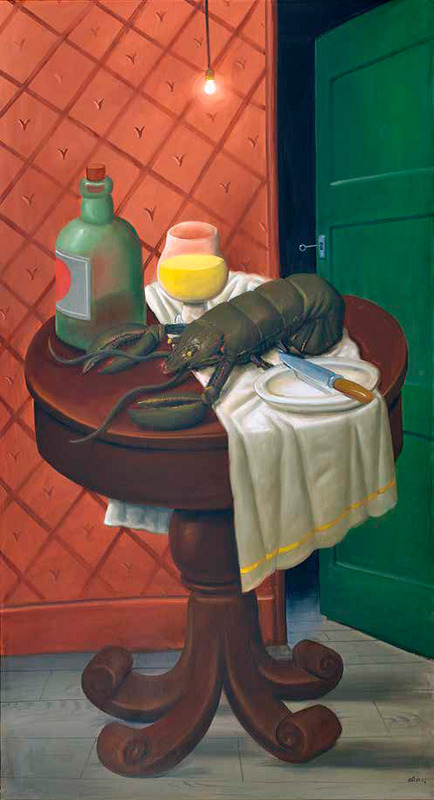 Fernando Botero statement: “These still lifes are being shown for the first time as I had kept them in my personal collection, because they are special to me. 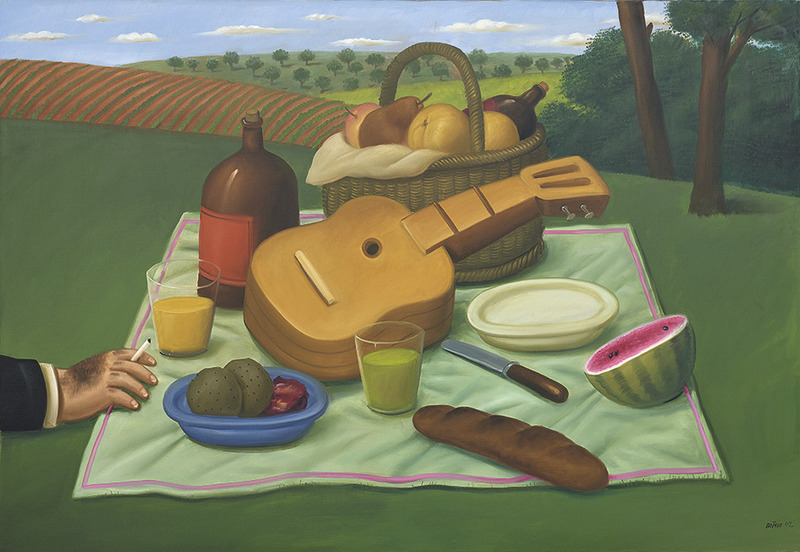 The reason is that artists today are no longer interested in this theme. 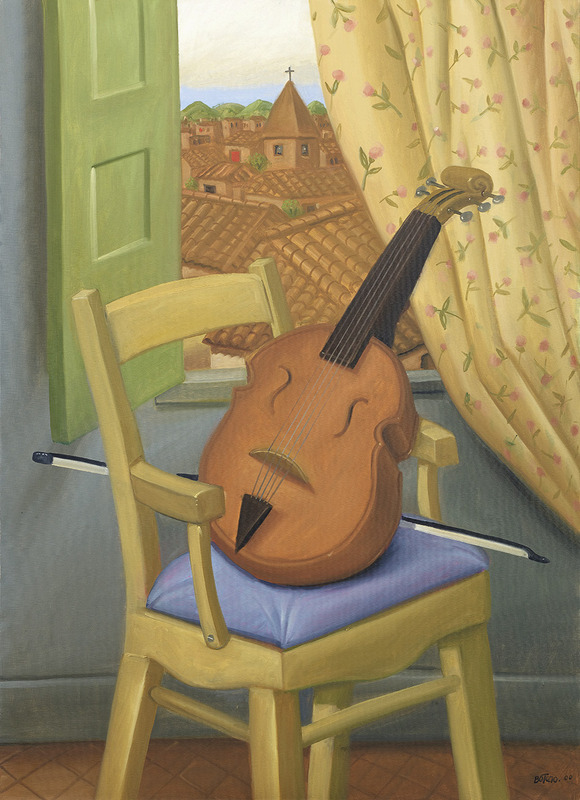 It is a pity because the genre has such a great tradition of masterpieces”. 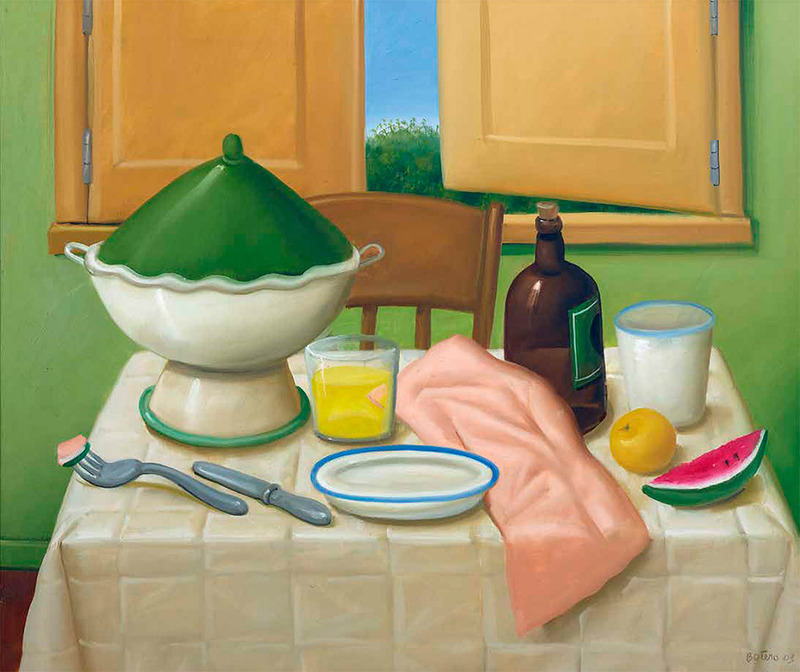 Fernando Botero statement: “These works are not painted in the style of the great masters. 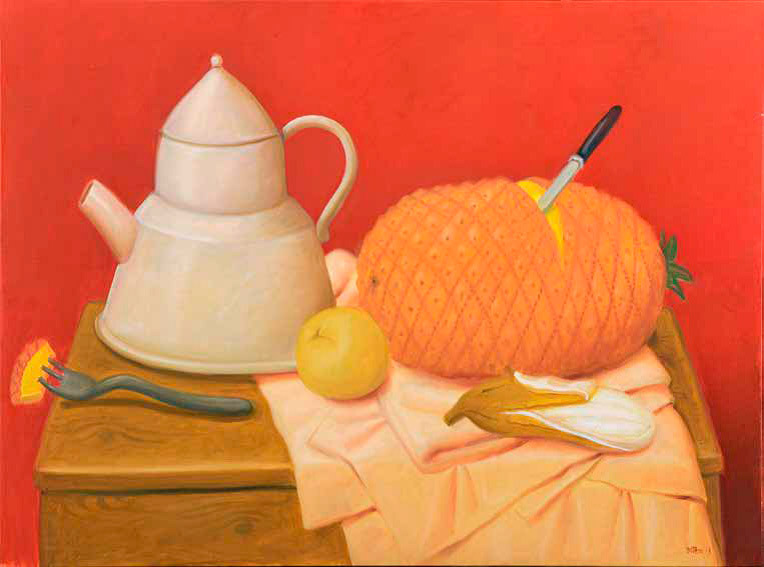 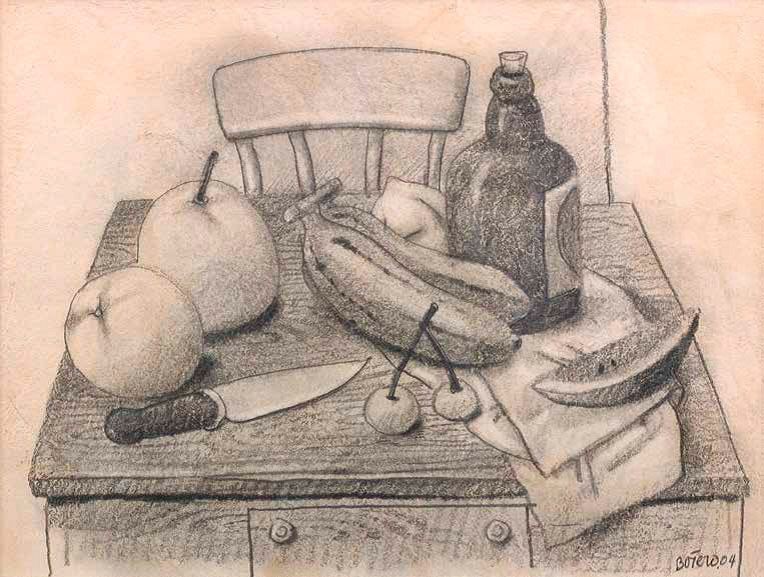 They are in my own style using the same objects and fruits that were used by the masters. 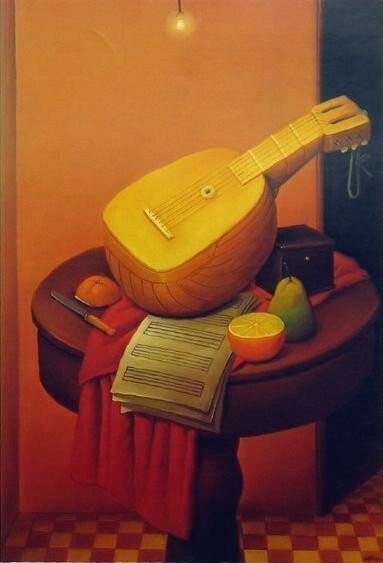 Art is to do the same thing but in a different way”. 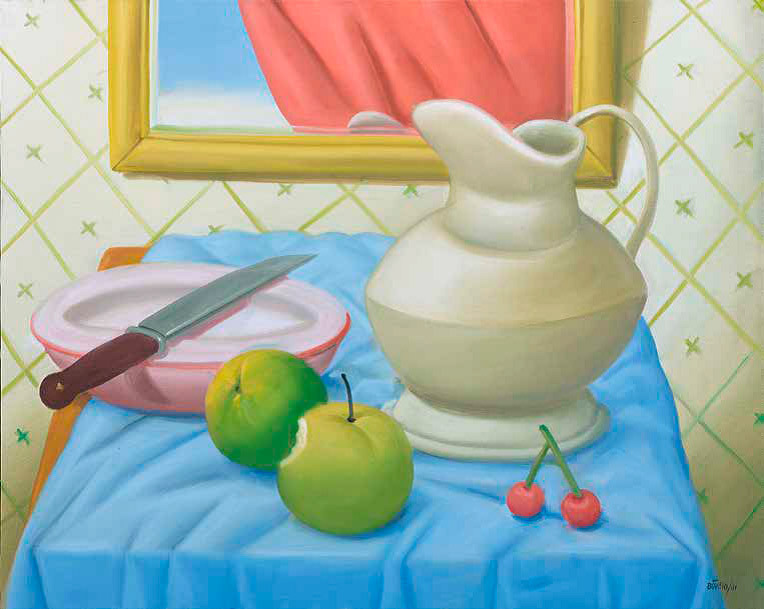 Fernando Botero statement: “I hope that the public will feel the sensuality of the forms in these paintings, the balance of the compositions, and the harmony of the colours”. 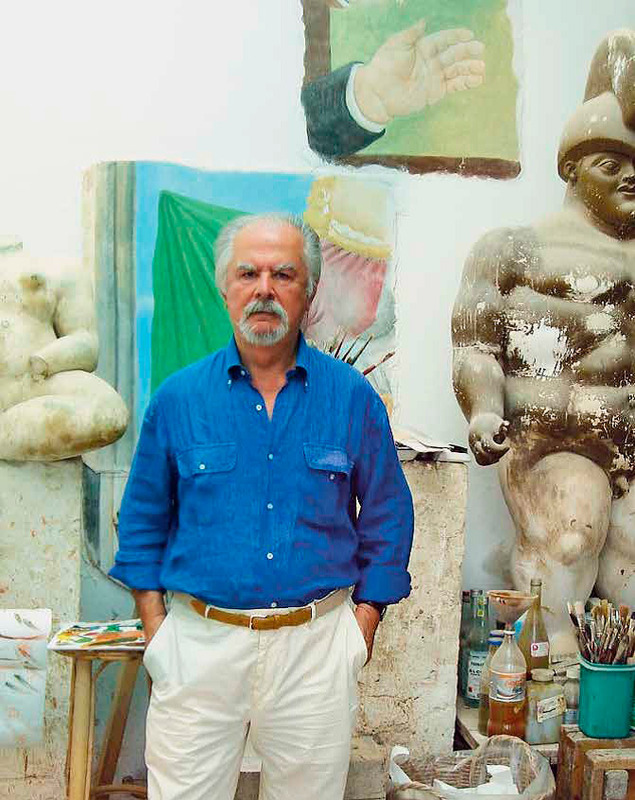 Fernando Botero born in 1932 in Medellín, Colombia, is a figurative artist and painter. 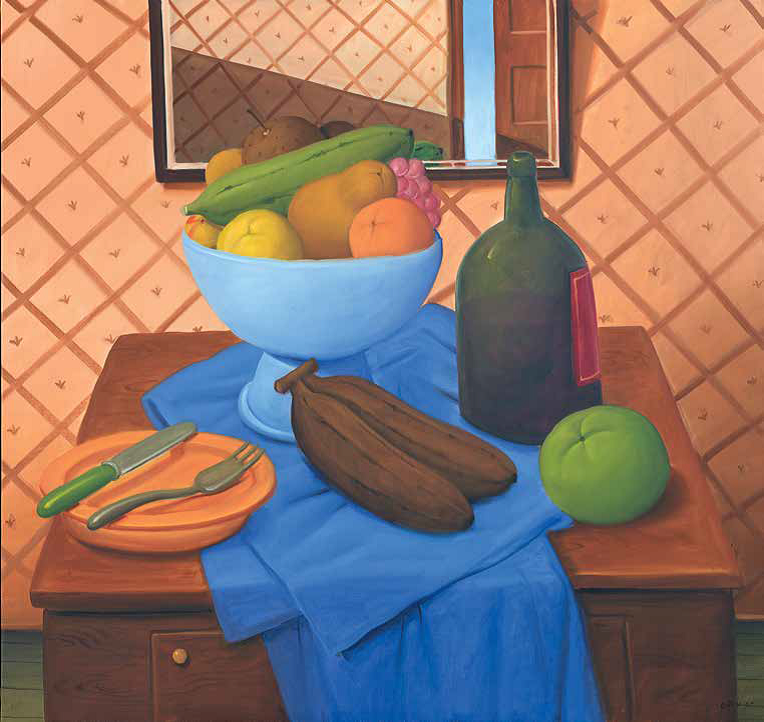 His signature style of smooth inflated shapes with unexpected shifts in scale is today instantly recognisable. 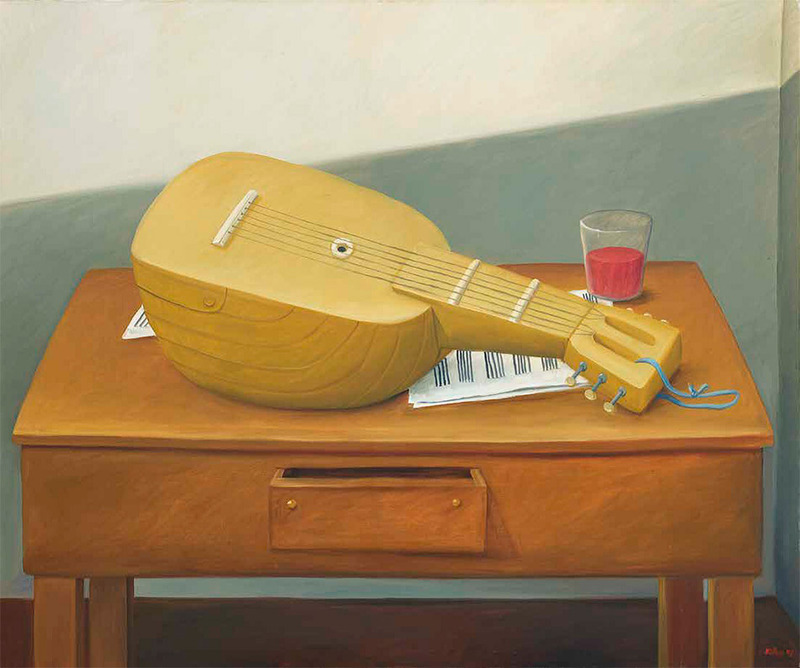 His first retrospective took place in 1970 in Germany at museums in Baden Baden, Berlin, Dusseldorf and Hamburg. 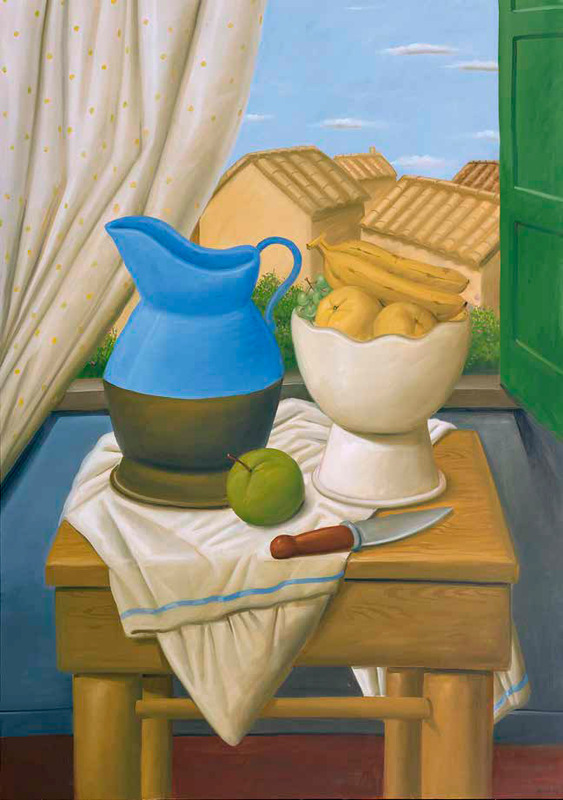 His work is held in important museum collections troughout the world.